How Much Albacore Tuna Intake Is Safe? 2 How Much Albacore Tuna Intake Is Safe? 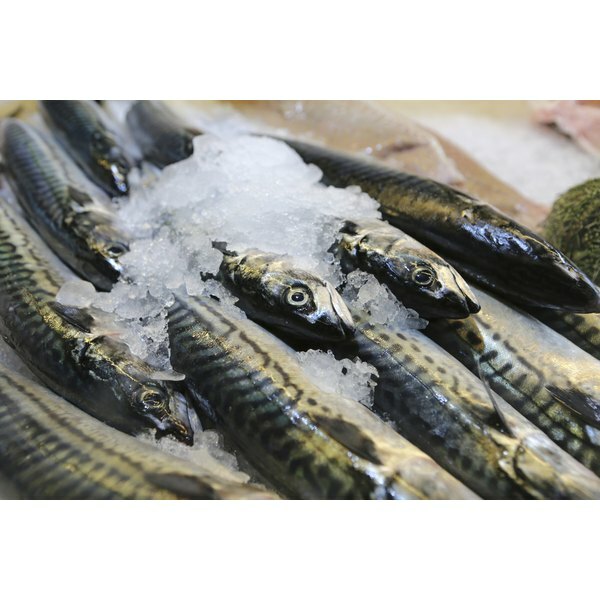 Norwegian mackerel is an oily fish suitable for many fish recipes. This fish, also known as saba, provides a great deal of nutritional value including protein, calcium and other minerals. The American Heart Association recommends eating at least two servings of fish -- particularly fatty fish like mackerel -- weekly, as it provides heart-health benefits. An 8-oz.serving of Norwegian mackerel fillet contains 516 calories. 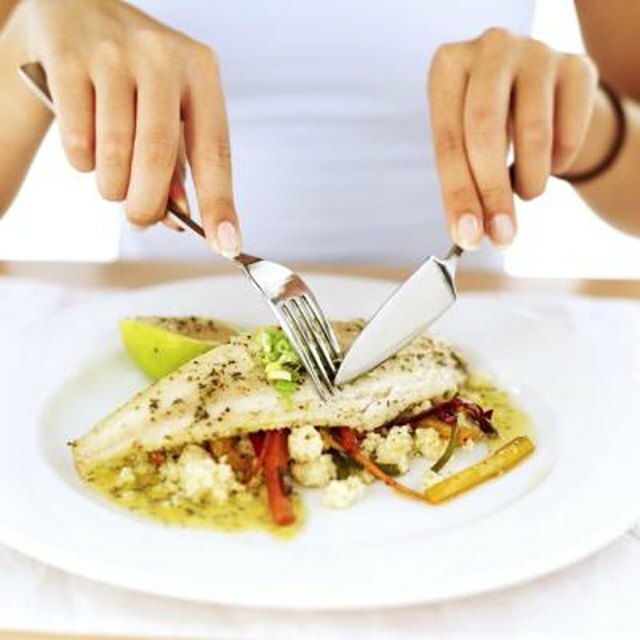 If you adhere to a 2,000 calorie meal plan, the calories in this type of fish account for 25.8 percent of your daily diet. A typical meal can contain 300 to 600 calories, depending on your nutritional goals, so a serving of mackerel may contain too many calories to properly fit into some meal plans. Consider eating a smaller portion of this fish if you eat at the lower level of the calorie spectrum. One serving of mackerel has 37 g of fat. Fatty fish like Norwegian mackerel are high in heart-healthy omega-3 fatty acids. Mackerel does not contain unhealthy saturated fat. Norwegian mackerel is an excellent source of high-quality protein. Each serving provides 42 g of this macronutrient, which your body uses for energy, as well as to build muscle and keep your immune system up and running efficiently. You require roughly 50 to 175 g of protein each day, or 10 to 35 percent of your caloric intake. The protein in this mackerel provides all the essential amino acids. One serving of Norwegian mackerel satisfies 15 percent of your daily calcium needs. Calcium benefits your heart, nerves and muscles, and also contributes to bone strength. As you get older, your calcium needs increase by approximately 200 mg per day; including this fish in your diet can help you boost your intake of this vital mineral. One serving of Norwegian mackerel also provides 401 mg of potassium. Potassium is an electrolyte, which conducts electricity in your body; this activity provides important function for your heart, muscles and digestion. Norwegian mackerel boosts your intake of iron, with 2 percent of the daily recommended intake per 8-oz. serving. Iron helps red blood cells carry oxygen throughout the body, which can prevent fatigue brought on by iron deficiency; this can sometimes develop into anemia. You can increase your iron consumption further by serving Norwegian mackerel with beans or spinach. What Are the Benefits of Eggs for Runners?